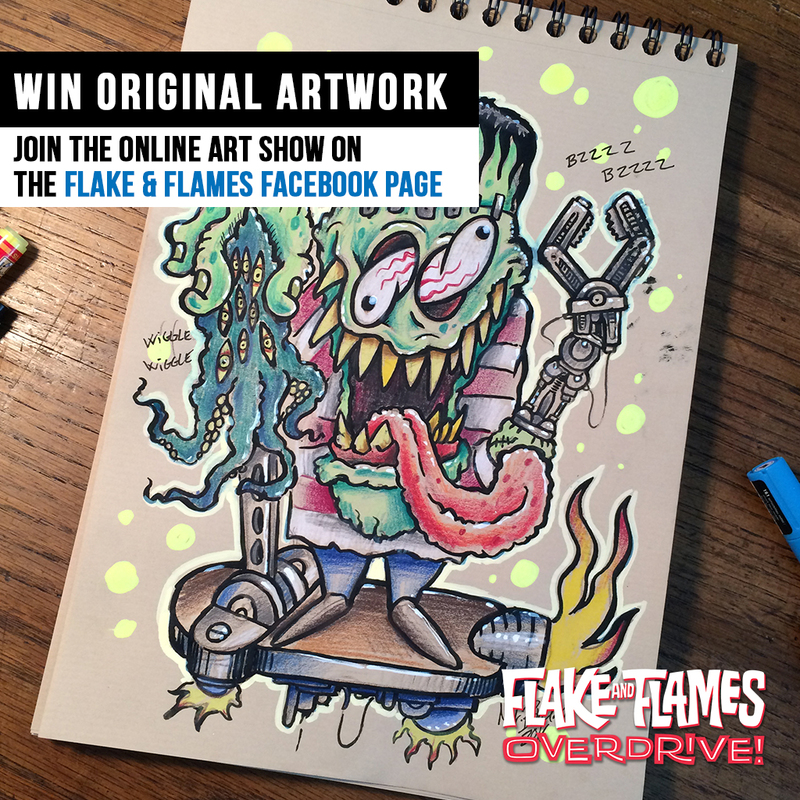 Win original artwork at the Flake & Flames Online Lowbrow Art Show. The Flake & Flame online Lowbrow Art Show have been going on for about a week now. You guys have the most awesome art work in you collections. It is great to see so many of you as passionate about Lowbrow Art as we are. To take it up a notch you can now win an original drawing by Mr.Bram by participating in the Online Lowbrow Art Show. All you have to do is upload one or more pictures of some art you own to the Flake & Flames facebook page. Then you are participating in the competition. Here’ a few of the cool submissions we got so far. Some really cool stuff. See much more on the our facebook page. (The link will pop the visitors posts section).